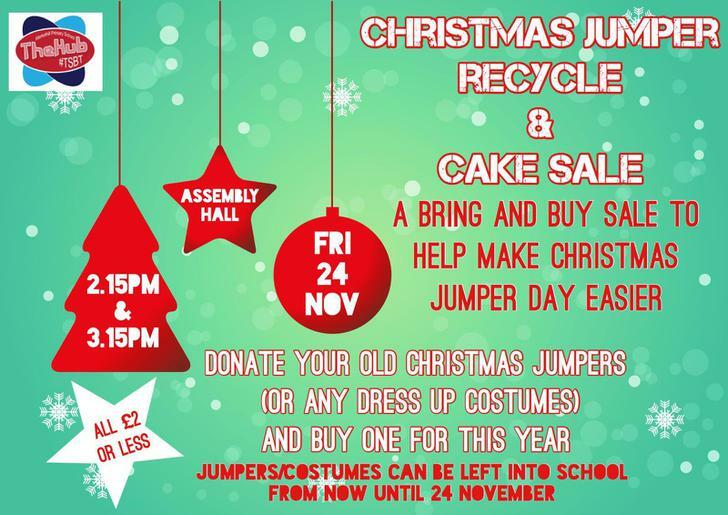 Come along to our Christmas jumper and cake sale in the hall at 2.15pm and 3.15pm. This is a super chance to purchase a festive jumper for very little. The Hub have organised this event and all money will go towards resources for the school. Your support is very much appreciated.